Reading and listening to music always soothes me. It even relaxes me even for few hours. It is my alone time. If you are a bookworm likes me at the same time music lover, this komplete 10 at musiciansfriend.com is perfect for both of us. I know that you can learn any music instruments from this website aside from this specific item. Why not check it out and enjoy browsing. As music fans, we adore when our favorite artist promotes a store that we like as well. If you are a fan of Ernie Isley, read this and find our more about ernie isley, check it out at MusiciansFriend.com. I am sure that you will learn more about his life, music from this interview and why fans like us adores him even more. Would it be romantic to listen the sweetest electric guitars while you are reading like the top fretlight guitar at M F? I am not sure if I could concentrate reading the book if I heard a music playing though. As a bookworm myself at the same time a music lover, I need silence when I am reading or else it will bother me and cannot concentrate what chapters I am reading. I do not mind listening to any music excepts when I am reading or vacuuming. Those are two activities that music is not allowed. I know that my little girl is so tiny and carrying a big musical instrument. It blows my mind because her baritone case is so heavy and still she carries it with her. It would be safer for her if it has a strap so she can carry it comfortably. Unfortunately, it is not available for that kind of musical instrument that she is playing to her school. I am so glad that she is having the time of her life playing the baritone. I admit I am a bookworm. I love to read. I have to make sure that I finished all my household chores before reading. Once I started reading, I do not want everybody to disturb me. I usually read before I go to bed. Sometimes during the day when my husband and kids are not around. I can also spend my day off from work by reading a paperback or on my Nook. Just like a book, a musician also needs some music book to learn and practice more. I am sure that searching from the website who owns musicians friend will help you find the perfect book for your musician. I admit I do not know how to play the piano. I loved to sing so much. My Summer Babe loves to play the instrument but only the baritone. I just wish that she will love the piano. I bet this casio privia is perfect for her to learn. She loves to sing as well just like her Mama. If only she wants to play the piano, no doubt her Daddy will buy her a piano. Does your daughter has the interest to play the piano? 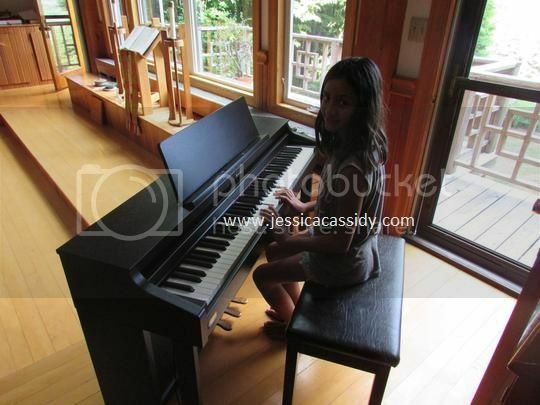 You should check this piano and am sure she will learn how to play the piano easily. Most of the time I read without music. Sometimes it gives me an earache when the house is awfully quite. I love to listen to music. I do not have any string instrument but I bet this piccolo bass will make it sound beautifully. All I have is a CD of musical instrument. It soothes me and will enjoy reading the most. I feel like I am in a concert surrounded with amazing musical instrument. I cannot play any musical instruments. I wanted to learn how to play the guitar so badly. I wish I can learn someday. I love to sing and music is always part of my daily lives. How about you? Are you looking for a new musical instrument like the bass trumpet. This website has options of any kind and sizes you are looking for. Why not check it out and you never know you will find the best musical instruments that you wanted.